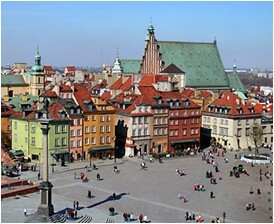 City tour includes visits of all the not-to-be-missed monuments and sights of Warsaw. OLD TOWN – the Castle Square, King Sigismund’s Column, St. John’s Cathedral, the Old Town Market Square, the Barbican. 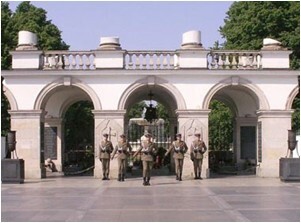 ROYAL ROUTE – aristocratic residences and famous statues, University of Warsaw, historic churches. HISTORICAL SIGHTS – Ghetto Memorial, Monument of the Warsaw Uprising, Tomb of the Unknown Soldier, Grand Theatre, Chopin’s Monuments, Belvedere Palace. The price includes: deluxe coach transportation and English guide assistance. There will be no time for any stops.